We take efforts in providing highest level of commitments in an environment of trust and warmth in everything we do. Our diversification into the field of health care is a move in the same direction. We aim to redefine healthcare space by bringing revolution in terms of design, architecture, environmental friendliness and efficiency. 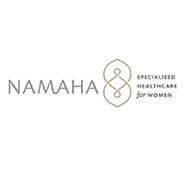 Namaha Healthcare- our flagship venture into the healthcare vertical, started in the year 2015. A world-class, multi-specialty healthcare facility located in Kandivali, Namaha is armed with an experienced team of doctors and professionals. The facility is in partnership with Ramaben Hospital, Navsari which is a medical landmark in Gujarat, having an experience of over seven decades in transforming lives of many.